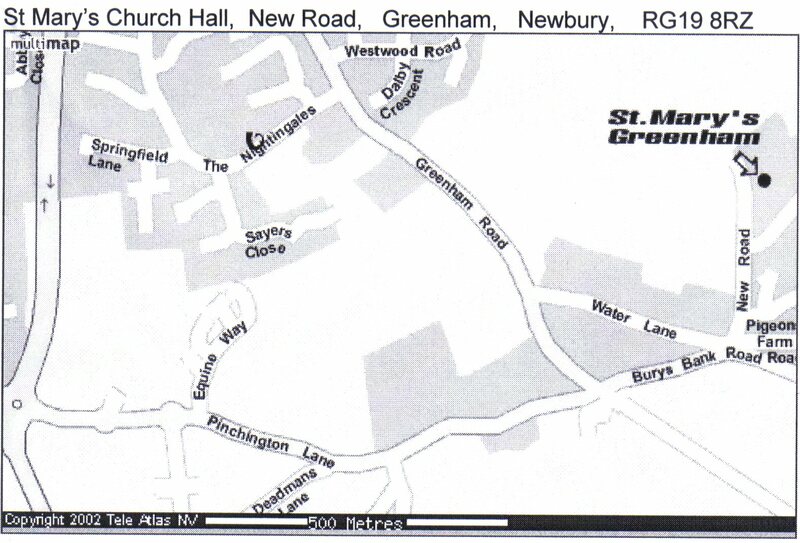 All meetings of the Newbury Amateur Astronomical Society Beginners Section for this session (September 2018 until May 2019) will be held at St Mary's Church Hall, Greenham. FROM NEWBURY: Turn off the old A34 at the second roundabout when approaching Newbury from the south. Look for Tesco on the corner of the easterly exit from the roundabout into Pinchinton Lane (shown on the map above). Follow Pinchington Lane for about a kilometre and turn left into New Road . Look for a yellow sign with ASTRONOMY and an arrow indicating to turn right. Follow the arrow until a second sign appears on the left directing visitors into St. Mary's Church Hall car park. FROM THATCHAM: Go over the crossing at Thatcham Railway Station, continue for about 1 kilometre and turn right into Burys Bank Road . Follow Burys Bank Road for about 3 kilometres and turn right into New Road. Look for a yellow sign with ASTRONOMY and an arrow indicating to turn right. Follow the arrow until a second sign appears on the left directing visitors into St. Mary's Church Hall car park.